Hmmm, sultry red shimmer shades are one of my favorite shades and this beauty Manon showcased isn't an exception! Who doesn't love fun summery holo's? And besides this fun green you can see 6 other gorgeous shades in the original post :-). Oh man, isn't this a stunner?! One of the prettiest work safe polishes ever I think, and I am so happy to own OPI DS Diamond! A England Galahad and nail art! Friday A England Galahad and nail art! You know how you sometimes have a vision of a certain look, and it just doesn't come out the way you hoped? That's what happened here ;-). In the end I still liked it but I just wish I had done a few things differently. Glitter gradients - such an easy and effective form of nailart! This look is quite delicate and girly, do you like it too? That green Fun Lacquer holo and the holo half moons are gorgeous! 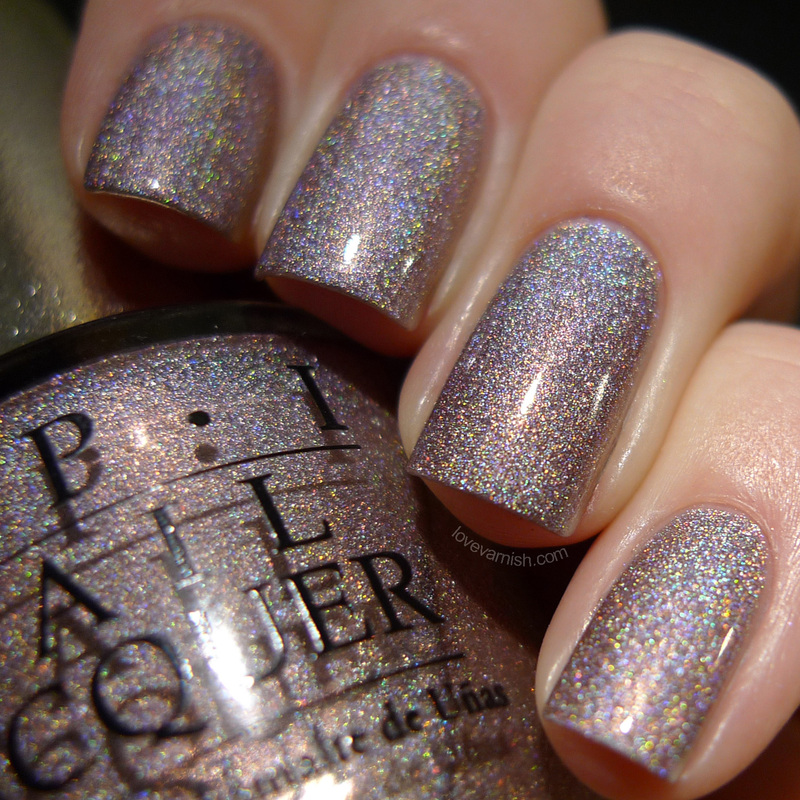 Ooh, love the Fun Lacquer and OPI!